Why I’m for Junie B. [S]he struggles with grammar. Her adverbs lack the suffix “ly”; subject and object pronouns give her problems, as do possessives; she usually isnt able to conjugate irregular past tense verbs; and word like funnest and beautifuller are the mainstays of her vocabulary. Adult readers expecting “correct” language use sometimes balk at Junie B.s language practices, banning the books from their childrens bookshelves. This morning, I visited the local bookstore on my way to the office to try to figure out what the fuss was all about. Simply flipping through a few Junie B. books, I could see how parents and caregivers might be concerned. Out of context a sentence from Junie B., First Grader (at last!) like “Me and Herb walked to Room One from the bus” (22) stands out, especially when adult readers are accustomed to standard written English in childrens books. When I read a few pages of the books however, I quickly learned that Junie B. sounded like a perfectly normal kindergartener and first grader. Members of NCTE and its constituent group, the Conference on College Composition and Communication (CCCC), became concerned in the early 1970s about a tendency in American society to categorize nonstandard dialects as corrupt, inferior, or distorted forms of standard English, rather than as distinct linguistic systems, and the prejudicial labeling of students that resulted from this view. Junie B.s nonstandard language use is labeled as “corrupt” and “inferior” by these adult readers and the entire series of books is dismissed. If youll forgive the rephrasing of the position statement, I, for one, prefer to affirm Junie B. Jones right to her own language—to the dialect that expresses her family and community identity, the idiolect that expresses her unique personal identity. Im for Junie B! Im not saying that I would read the books unexamined. Id ask young readers to think about how language works in the books. I want readers to talk about how Junie B. speaks and writes and why she sounds like a real kindergartner and first grader. In my practice with older students, when students are given the chance to embrace language diversity and authentic language use, amazing things can happen. 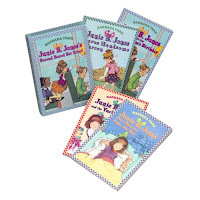 The Junie B. Jones series presents a teachable moment. Whats important is that we teach students to revel in language diversity and their own language use—rather than teaching them censorship and a static vision of a language with only one correct form. The current No Child Left Behind legislation is based on the idea that every student is capable of being proficient, with performance that falls “in the middle,” between basic and advanced achievement. Regardless of educational background, available family and community support networks, and the in- and out-of-school environment, every child can reach this average level of performance. The problem is that striving for an average level of proficiency actually dilutes student achievement. As the Education Week article “NCLB Seen as Curbing Low, High Achievers’ Gains” reports, the focus on teaching to the average level of student proficiency leaves students who achieve at higher and lower levels behind. Teachers work to to ensure students reach the mandated adequate yearly progress scores, but in the end, students who are above or below average lose. High achievers arent challenged to move beyond average performance, and struggling students are not given the support they need to reach proficiency. In the NCLB classroom, curriculum is structured to focus on helping the average student do well on a single win-or-lose test. The result is that the literacy skills that all students bring to the classroom can go unacknowledged and unsupported. The only literacy skills that matter are those that apply to the test. Teachers of the youngest students actually take class time to instruct students on how to fill in bubbles on test forms. Learning to color in the lines becomes curriculum instead of true literacy instruction. We must demand change. No Child Left Behind needs to live up to its name. We need a program that supports the wide range of literacy skills students need in the 21st century and the vast differences among students in the classroom. Student achievement should be measured by locally created performance assessments, not one-size-fits-all tests that ignore students who dont fit in. Curriculum and performance should focus on teaching the full range of literacy skills, not just the literacy of test-taking. School experiences should prepare students with the deep knowledge necessary for success in a global society, not success in filling in the right bubbles on test forms. Assessment should provide timely, concrete feedback to teachers, parents, and students, not numbers with no context and no process for learning from past work. The growth and achievement among English Language Learners should be measured with multiple sources of evidence that document the full range of students literacy abilities. English Language Learners should not be assessed with premature tests of English skills that result in misjudged or underrated results. Curriculum and testing should be based on scientifically-valid research that fits the best methods to specific questions. Research is not one-size-fits-all either. Instructional decisions should be based on an archive of powerful research gathered from direct observation of student learning in a range of authentic school settings, not on research that inadequately represents how students learn to read and write. In the current test-driven environment, students are simply statistics moving through the system. Every child is treated as capable of average proficiency. Individual abilities and knowledge are lost in this constructed vision of students. Children who need more challenging curriculum and children who need more scaffolding and support are left behind. Every child is average in the NCLB system—an average of all the students in the classroom and an average achiever in the world of standardized testing. In truth, no child is average. Every child is different, and we must demand legislation that recognizes that fact. You can help by taking a few minutes to write your members of Congress and letting them know how they can make the NCLB law work for students, teachers, and schools. Take action now and help ensure that no child is treated like an average student. Ask students to sketch out a hierarchical chart of the wizarding worlds government and compare it to the national U.S. and British governments. Extend the discussion of one of the magical creatures in the series by writing scientific descriptions of their habits, habitats, and physical features. Model the descriptions on an encyclopedia entry of a well-known animal or use a Web-based description of a zoo animal like the Giant Panda. Use Thinkfinity partner EconEdLinks Lost Memo to have students to connect the details from the Harry Potter novels to the currency exchange rate that affects businesses everywhere. Tap the exploration of race, class, sexuality, and gender in the English Journal article “Teaching English in the World: Playing with Critical Theory in J. K. Rowlings Harry Potter Series” to shape parallel discussions contrasting issues in social studies and history. For instance, invite comparisons of Hermiones S.P.E.W. (Society for the Promotion of Elvish Welfare) with the labor and anti-slavery movements in the U.S. Consider what Mona Lisa, James Weldon Johnson, or Sequoyah would say if they could talk and move around their portraits like the subjects of the paintings in the Harry Potter novels to explore art and history connections. Explore the language of advertising by asking students to create print, audio, or video advertisements for items that wizards would buy, a store a wizard might shop at, or a service that a wizard might hire someone to perform. Focus on technical and business writing by asking students to create resumes for characters in the book. Consult the ReadWriteThink lesson plan Book Report Alternative: Creating Careers for Characters for resources. Write a letter to the editor for a character, using the ReadWriteThink lesson plan Book Report Alternative: A Character’s Letter to the Editor for materials. Students might write on the same topics that Harry takes up in the novels or choose another topic—arguing for a pardon for Buckbeak, supporting Hermiones S.P.E.W. efforts, or responding to a news article included in one of the texts. Have other suggestions? Please share them in the comments! NCTE discusses even wider understandings of literacy than the Washington Post article. The NCTE Summary Statement on Multimodal Literacies suggests the range of media that comprise 21st Century literacy. Students should be asked to think critically about still images, photos, movies, animations, drama, art, alphabetic and nonalphabetic text, music, speech, sound, physical movement, gaming, and so on. Using any of these lessons as a starting point, open up the classroom to discussions of critical reading with every sense and invite students to compose in words, sounds, images. In the process, students visualize a much stronger view of literacy, one that validates out-of-school literacy skills and prepares them with the 21st Century literacy skills they will need for success beyond their classroom days. The Fourth of July is probably the most patriotic day in the United States. There are flags everywhere. 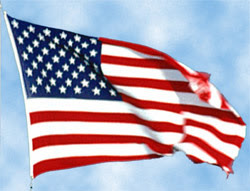 Patriotic songs fill the air. Youll find reruns of Yankee Doodle Dandy and the musical 1776 run on the television. Its a day when we celebrate everyday patriotic texts such as the Pledge of Allegiance, “The Star Spangled Banner,” “My Country, Tis of Thee,” and “America the Beautiful.” But how often do we ask students to think carefully about the words that they are repeating? The ReadWriteThink lesson plan Freedom of Speech and Automatic Language: Examining the Pledge of Allegiance outlines a secondary project that can be adapted for middle school or college students. For a more focused activity, you can use the Examining the U.S. Pledge handout to ask students to look closely at the words and ideas expressed in the pledge, using the resources in this FOX news article, the Wikipedia entry, the American Legion History of the Flag, or a text from your library. Similar projects can be designed using any patriotic text. Use the Wikipedia entry and this Library of Congress site to have students examine the details behind “America the Beautiful.” Younger students can read information on the song on the Bens Guide to U.S. Government for Kids site. As you explore these texts together, ask students not only about the words of the various texts, but about how they have been read and performed over the years. No matter what text you explore, focus on asking students to think about the well-known texts—Why have they become so important? What do they mean literally and figuratively? Who is mostly likely to read or sing the texts? When is they usually referred to? Do they truly include all the people in America? If the text were written today, what might be different? As students explore all these questions, they may focus on the history behind the texts, but with some deep critical thinking they can begin exploring their own personal relationships to the texts. Most students know the words. Take some time to ask them to think about what theyre really saying.